We are contract manufacturing with companies for many products, equipment, various components & devices in many different industries. Also we do outsourcing & subcontract service. The Rockleigh will quote contract manufacturing project based on processes, tooling, labor and material costs. Our factories are producing and shipping units of various designs on behalf of our customers. Rockleigh contract manufacturing is on a contract basis of the many fields of contract manufacturing including higher level of outsourcing of parts and components. Our manufacturing is in the field of the computer, semiconductor, aerospace, energy, medical, defense, food manufacturing, personal care, and automotive fields and many others. Our manufacturing include CNC machining, complex assembly, grinding, aluminum die casting, broaching, gears, and forging among others. Rockleigh Industries Inc is active in many industries as a contract manufacturer and product design company. There are many benefits to contract manufacturing and subcontract manufacturing. Our customers have many advantages outsource their production to Rockleigh as subcontractor. Advanced Skills that contract manufacturer like Rockleigh has. The contract manufacturer have relationships formed with raw material suppliers or methods of efficiency within production. Saving and cost reduction – Rockleigh Contract Manufacturers and subcontractors have multiple customers that we produce for. 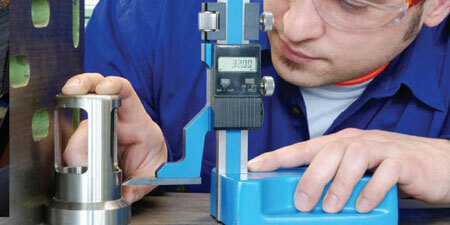 Because we are servicing multiple customers, we can offer reduced costs in acquiring raw materials and components.